“Legends” by Tim Yanke. 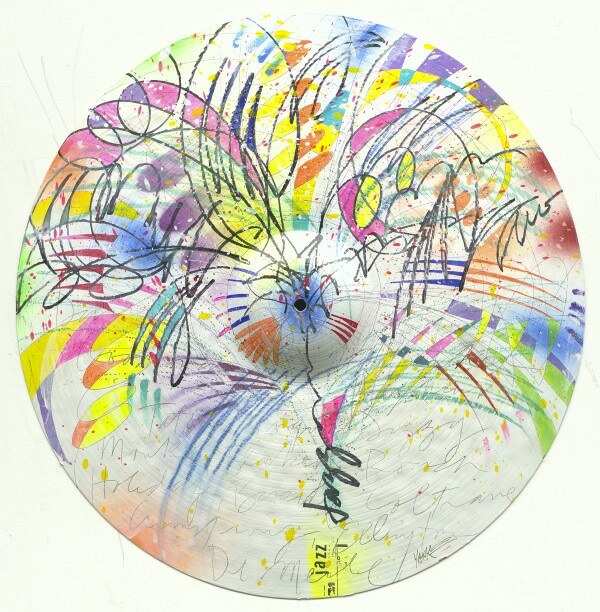 This painted cymbal was auctioned to raise funds during the Amelia Island Jazz Festival’s Big Band Bash. Music is art, and occasionally, art is music, which Park West Gallery artist Tim Yanke demonstrated during a fundraiser for music students. 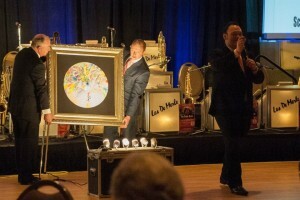 The Amelia Island Jazz Festival held its Big Band Bash gala on February 14 at the OMNI Resorts Amelia Island Plantation in Florida, where a live auction featuring a cymbal painted by Yanke raised money to benefit student musicians. Yanke the official artist for the 2015 Amelia Island Jazz Festival, which will be held October 8-11 of this year. 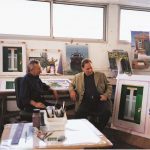 As the official artist, he created two works of art that he says depicts the “vibration, the moods and the flow, the improvisation” of jazz. The works, both titled “Legends,” feature a fountain of color swirling out of the word “jazz,” while the names of jazz greats adorn the blank spaces. 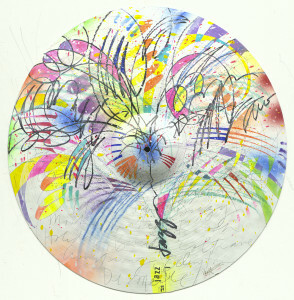 One work is on a canvas, while the other used a 22-inch Zildjian cymbal as the canvas. “When I finished the painting I thought ‘that is true, raw, organic Yanke and true, raw, organic music.’ I hope it does well for the fundraiser,” Yanke said. The Big Band Bash fundraiser was considered a great success, with proceeds benefiting the Amelia Island Jazz Festival Scholarship Program. The scholarship is awarded annually to a graduating high school senior pursuing a major or minor in music. Founded in 2001, the non-profit jazz festival and its corresponding events raise money for aspiring musicians and expose thousands to jazz music in all its forms, including swing, bebop and big band. Performances are held throughout Amelia Island, located in Nassau County. 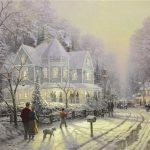 Sponsors this year include Park West Gallery, OMNI Hotels and Resorts, Amelia Island Florida, Zildjian, Craviotto, Ecentcraft, JazzTimes and Jazziz. For tickets and further information, visit www.ameliaislandjazzfestival.com.